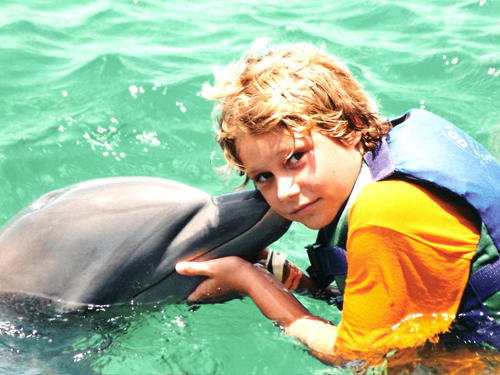 The Dolphin Close Encounter is truly a once in a lifetime experience. The views and closeness to wildlife will truly submerge you in the outdoors. This well-crafted tour in Sanctuary Bay will provide a completely unique and exceptional experience that will remain a part of your families’ memories for a lifetime. Your holiday to the Grand Bahama Island is an unique and exciting experience in itself. 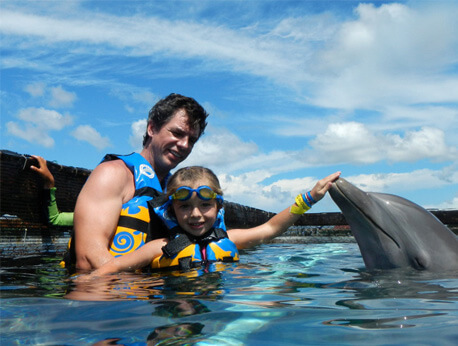 Make it even more exciting by taking an afternoon to be amazed by the Dolphin Close Encounter Tour in Freeport. This is truly a one of a kind tourist experience that you cannot replicate in most island areas on the face of the planet. You can relive your days of watching Flipper and actually get a face-to-face interaction with a spectacular dolphin creature. The tour begins with a fabulous boat ride through the unique canal system that surrounds the island. The ride itself takes about 20 minutes, and may take place along the south shore of the island if weather conditions permit. Once you arrive at Sanctuary Bay you will quickly realize that you have entered the home of fourteen fantastic dolphin creatures. Your guide will ask you to sit along the banks of the water, where you will enjoy watching the dolphins play all around you. Not only will you be entertained, but you will receive some great educational information from your tour guide. While you are at Sanctuary Bay, you will be given ample time to observe the Atlantic Bottlenose Dolphins in their natural habitat. They will likely be splashing and frolicking in the water all around you. There is a three-foot, submerged platform where you are permitted to pet the dolphins, and even kiss them. Naturally, this is a once in a lifetime experience, so pictures are permitted and encouraged. There are professional photographers accompanying you on your tour, and you can purchase some of their best shots upon the completion of the program. 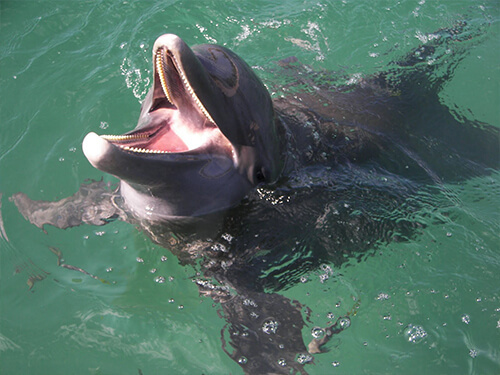 Our dolphin friends have a variety of animal friends all around the park that you’ll also get the chance to meet. You will find that there are some Macaws in the Bird Patio, and African Tortoises in the area as well. 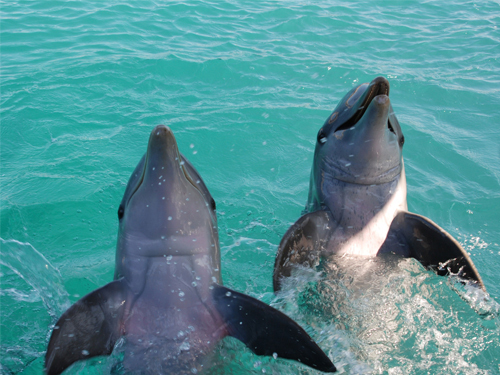 You will be able to learn about these wonderful creatures in addition to your interaction with the dolphins. The tour location also has a retail store that has been consistently rated the best on the island. The location is simply ideal, so sit and enjoy a nice beverage or meal while you wait for the return trip back to the main island.